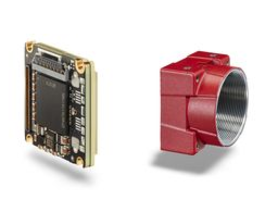 Nuremberg, Germany, February 7, 2019 - Allied Vision's revolutionary camera series for Industrial Embedded Vision has been nominated for the Embedded Award in the Embedded Vision category. A jury of industry experts selected the innovative camera module, powered by the ALVIUM® technology developed by Allied Vision, for the nomination. The prize will be awarded at the Embedded World Exhibition & Conference 2019 in Nuremberg in February. The nominated Alvium camera series will be the focus of Allied Vision's presence at the leading international trade fair for embedded systems from February 26th to 28th 2019 (Hall 3A, booth #418). The Alvium Camera Series is an innovative camera platform that combines the advantages of classic machine vision cameras with the advantages of embedded sensor modules: extensive functions for image correction and optimization, a large selection of state-of-the-art sensors, intelligent power management, cost-optimized design, and a small form factor with modular concept. ALVIUM® technology, an Application-Specific Integrated Circuit (ASIC) with integrated image sensor processor (IPS) and image processing library (IPL) ), delivers industrial performance to embedded vision. By shifting image correction and processing tasks from the host to the camera’s ALVIUM® IPL, engineers can offload the CPU on their embedded boards for alternative processing tasks or reduce overall system cost by downsizing their host processor.